Steve Smith will miss the final Test against South Africa at the Wanderers for his role in the ball-tampering saga that engulfed the Australian team on the weekend. Smith’s future as captain of Australia has come into question ever since he admitted on Saturday that the team’s ‘leadership group’ asked rookie opener, Cameron Bancroft, to illegally change the condition of the ball. There have been calls from ex-players for Smith to be permanently stripped of the captaincy, while others have said he should never play for Australia again. We look at five players who could take over as the team’s captain after the recent controversy. The 33-year-old wicketkeeper was thrust into the captaincy role on day four of the third Test the morning following Smith’s admission. He was not able to rally the troops, and they wilted under the pressure from the Proteas as they were convincingly defeated by 322 runs. The fact that he was asked to lead the team in the immediate aftermath suggests he wasn’t part of the original ‘leadership group’ that was fingered by Smith. The 26-year-old all-rounder has been in good form with bat and ball and could be a solid long-term pick. After a period of mediocre performances, he has now established himself as a near-permanent fixture in the team. The son of former national coach Geoff, he has honed his leadership skills as skipper of Western Australia. An outsider, but the top-order batsman has plenty of experience and patience. Born in Pakistan, the 31-year-old has displayed composure at difficult times and shown his credentials as captain during a stint in charge at Queensland and during an Australia ‘A’ tour of India in 2015. Renshaw, who turns 22 on Wednesday, is a long shot, but he is highly regarded Down Under and was on Monday referred to by The Australian newspaper as the ‘future leader of the Baggy Green’. The young opener, who is currently on his way to South Africa, finds himself in a privileged position of not being tainted by the recent scandal, and Cricket Australia could offer him the captaincy as they look to rebuild the image of Australian cricket. 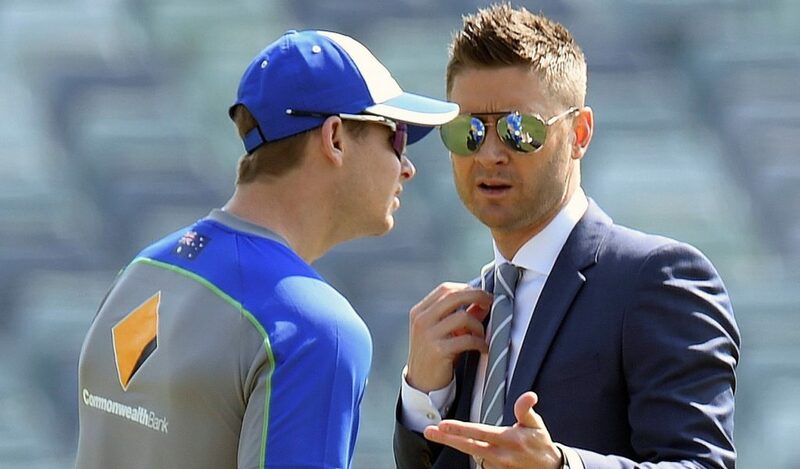 Clarke was Smith’s predecessor, retiring in 2015 after playing 115 Tests. Now a TV commentator, he suggested at the weekend he was open to a return. ‘If I was asked by the right people, then I would think about my answer,’ the 36-year-old told Australia’s Nine Network, although he is seen as a real wildcard.